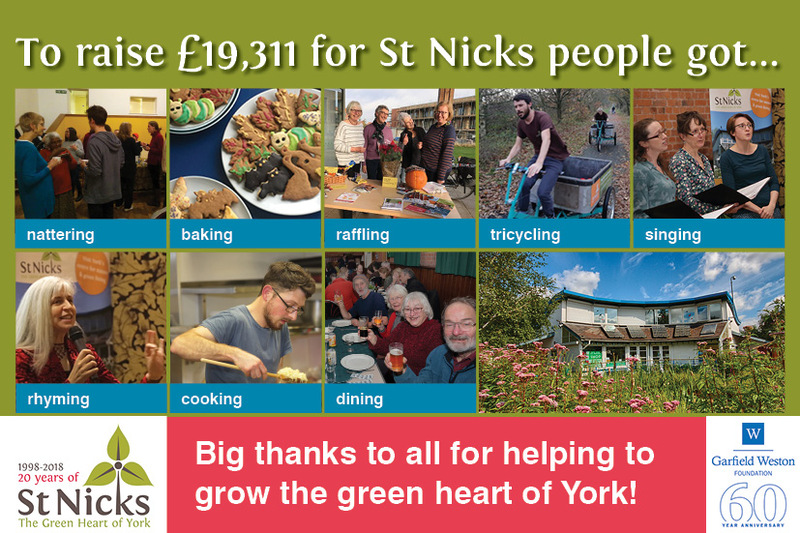 We’re truly blown away by the generosity of St Nicks supporters – the Big Give Christmas Challenge backed by the Garfield Weston Foundation reached £19,311 on the closing day of matching. We’d never done anything like this before so have learnt a lot along the way, including how to set up a hall for 80 hungry diners! 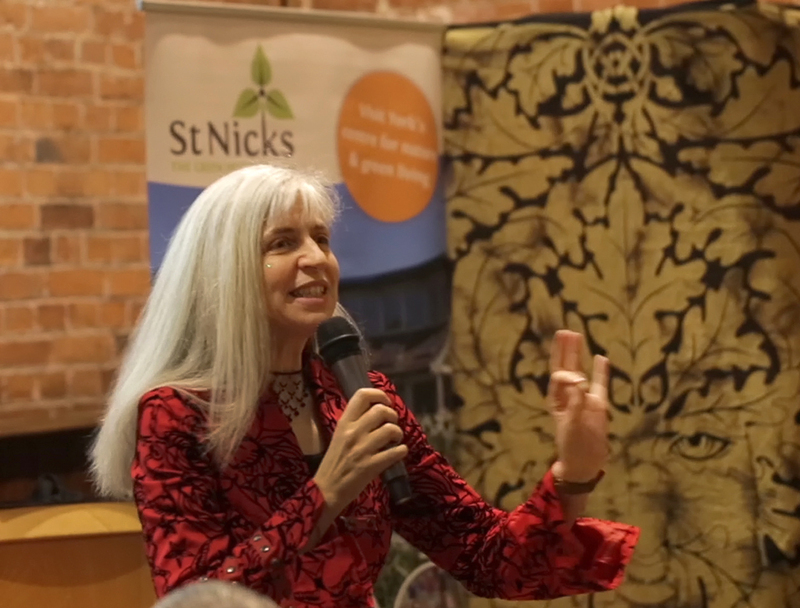 Here we want to capture what’s happened, show off photos and, most importantly, highlight some of the remarkable people and businesses that have contributed to our success. Our sincere thanks go to every single donor and volunteer who has contributed to the cause – we could not have done it without you! 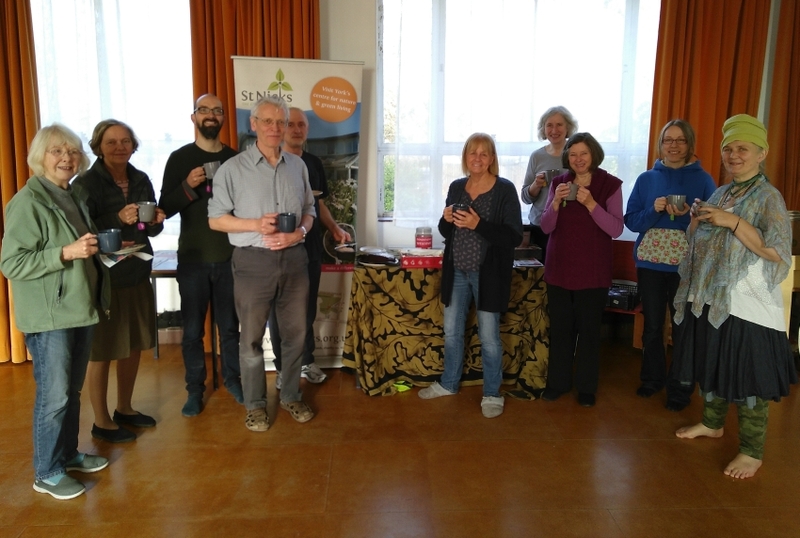 On November 20th, in the run-up to the actual Big Give Christmas Challenge week we trialled our ‘Natter For Nature‘ coffee morning idea for staff and volunteers. 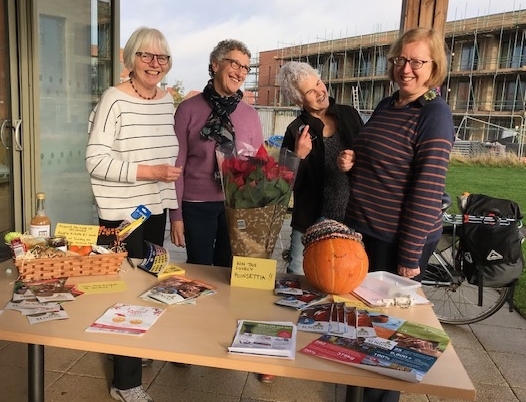 It was an opportunity to test recipes and the “natter starter” from the supporters’ resource pack, which we are happy to send to anyone who would like to run a coffee morning in the future – just get in touch. 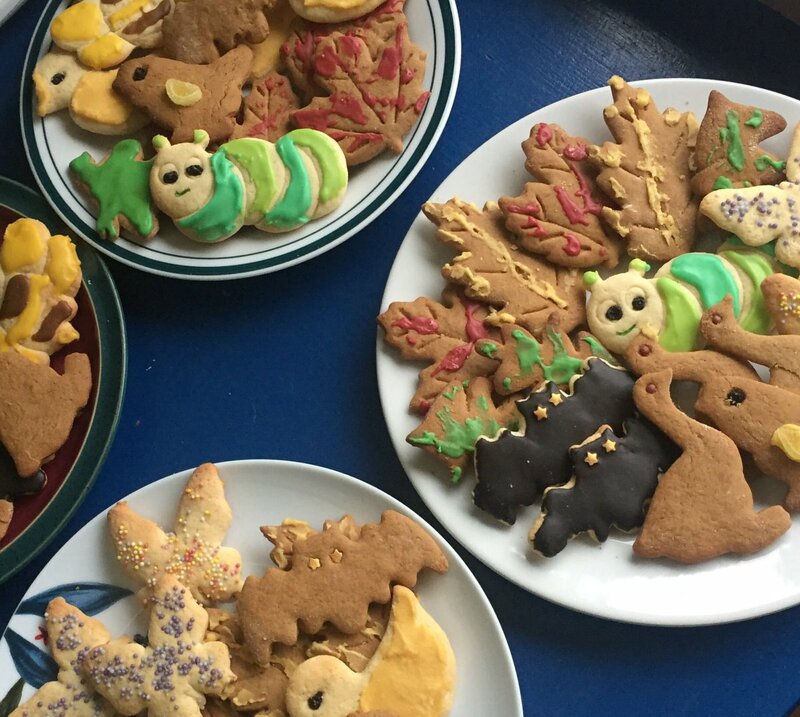 Thanks to that we discovered our team’s favourite animals include owls, seals and otters — pleasingly, owls and otters frequent St Nicks! 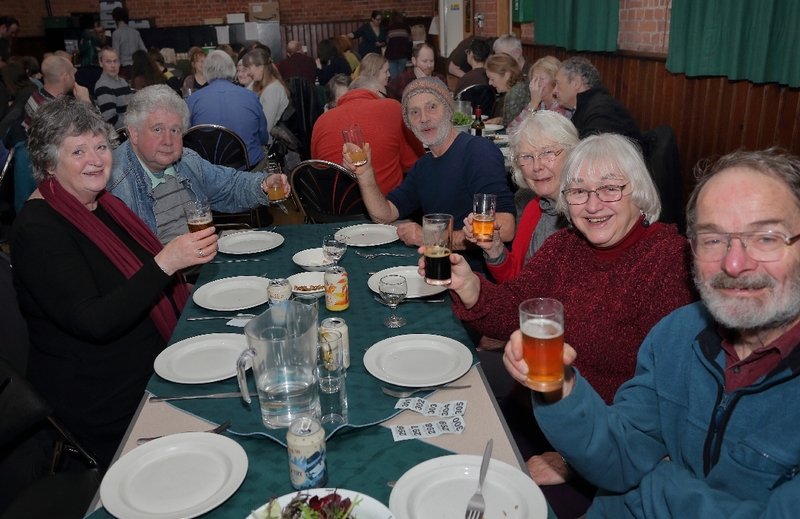 This Natter was preceded and followed by several others hosted by a variety of groups: Singing Together and Stonegate Singers choirs, Wild Magazine at the University of York and Derwenthorpe residents. 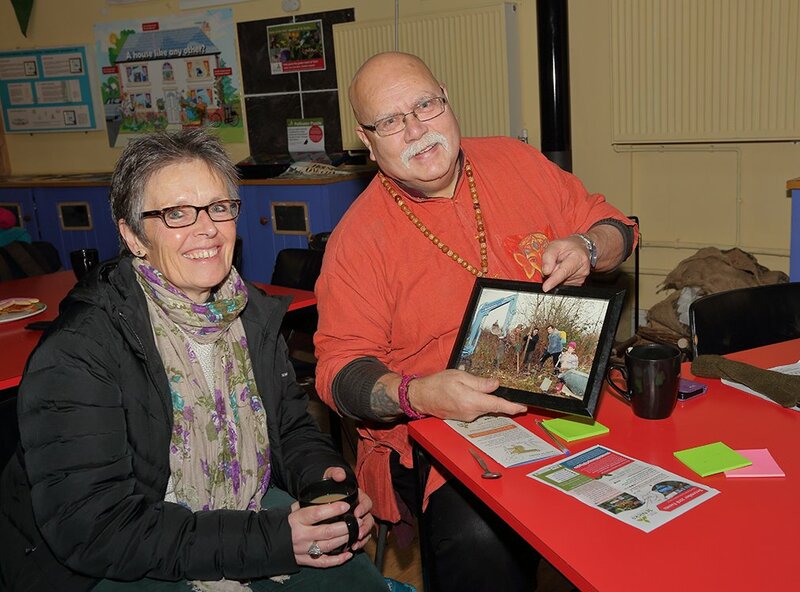 We also ran another Natter at St Nicks on 1st December, which combined nattering with reminiscing over our archive photos. 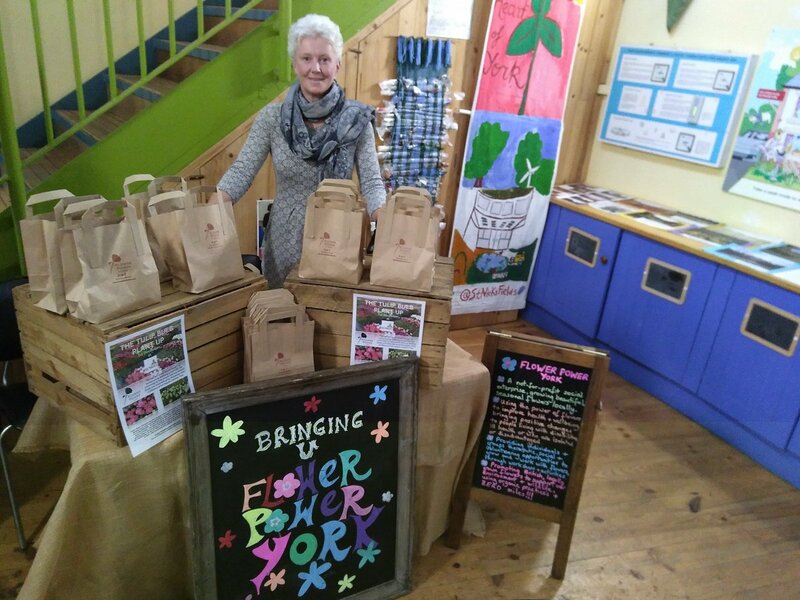 We were delighted to be joined by our local MP Rachael Maskell who was impressed by the variety of “bug cookies” kindly donated by a local supporter, as well as Flower Power York who were handing out free tulip bulbs. Despite the dreadful weather on the day, a small but steady stream of natterers came along, including some of the original trustees and campaigners for the former Tang Hall rubbish tip to be given over to nature. 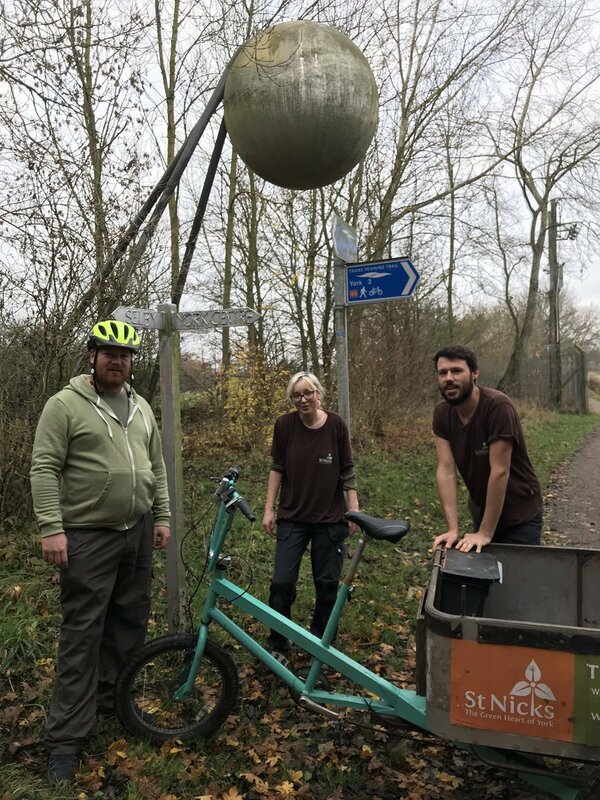 The next exciting item on our agenda was the Recycling Team’s Trike Challenge on 24th November. This truly challenging endeavour warrants its own report, which you’ll find here along with pictures. 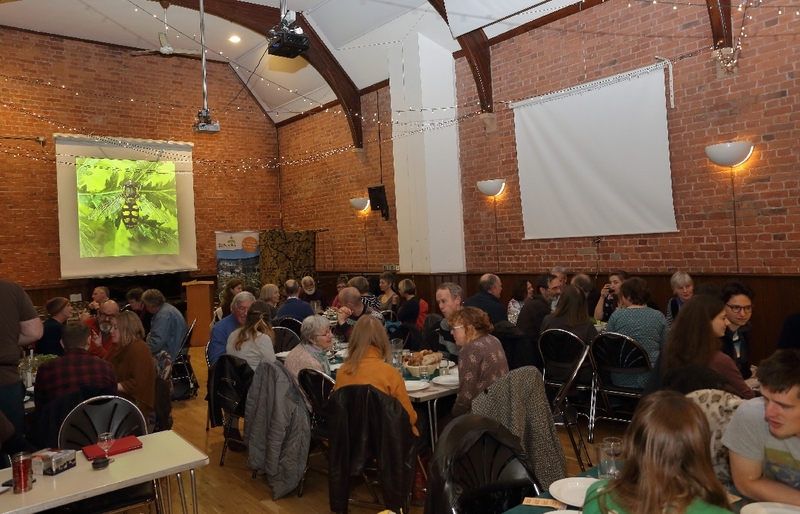 The final fundraising push was our Winter Heart Warmer evening on 3rd December at the Belfrey Hall, which was a great feast cooked up by Joe Fennerty of Food Circle York. 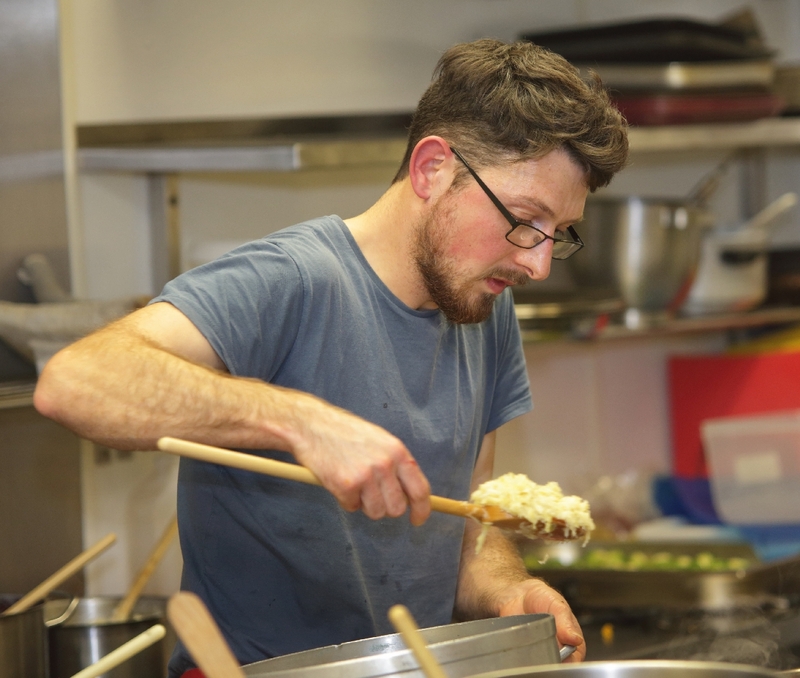 Despite the unfortunate power cut which affected the city centre that day as well as his kitchen and made the catering for over 80 people even more stressful than it usually is, Joe wowed the crowd with a delicious array of dishes made from local organic fruit and veg. 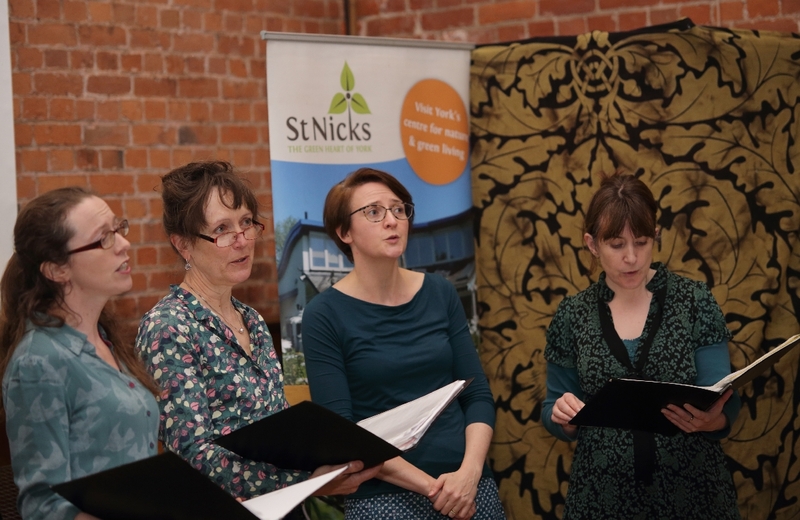 Helping to create a good mood on the night were the lovely Barberellas singers while our fantastic patron Anneliese Emmans Dean did a sterling job of keeping our guests entertained with poems, and even got them chanting demands for wildflowers! Watch the video below to find out how. We also had local poet and Ecotherapy participant Brinley Price reading a few of his poems inspired by his involvement with St Nicks. 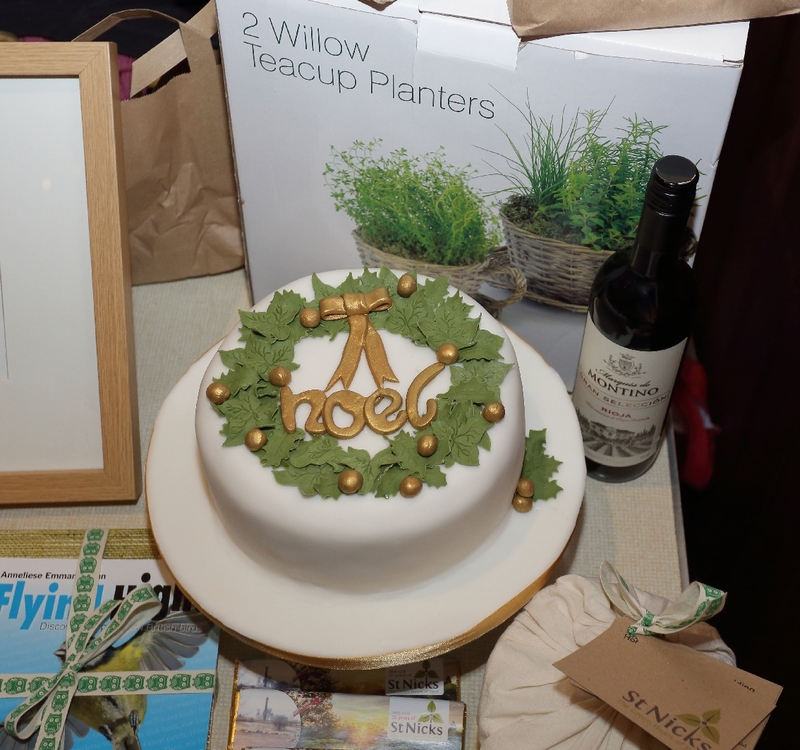 Huge thanks go to everyone who helped out on the night but a special mention goes to Lewis Outing for taking photos and videos, and to Jules who made a spectacular Christmas cake for our raffle draw as well as puddings for sale. 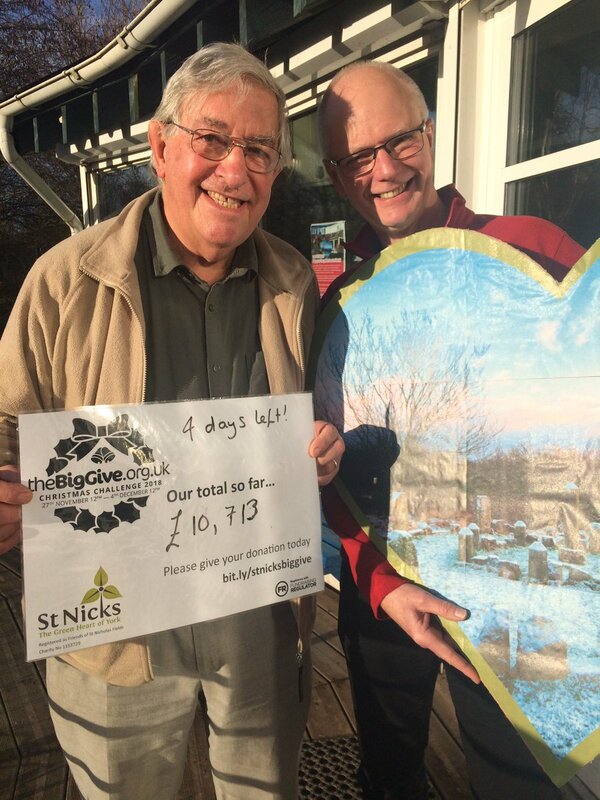 Throughout the week we did our best not to keep obsessively checking the tally on the Big Give website and had a number of “my gosh, it’s jumped by a thousand pounds since last time I looked!” moments. 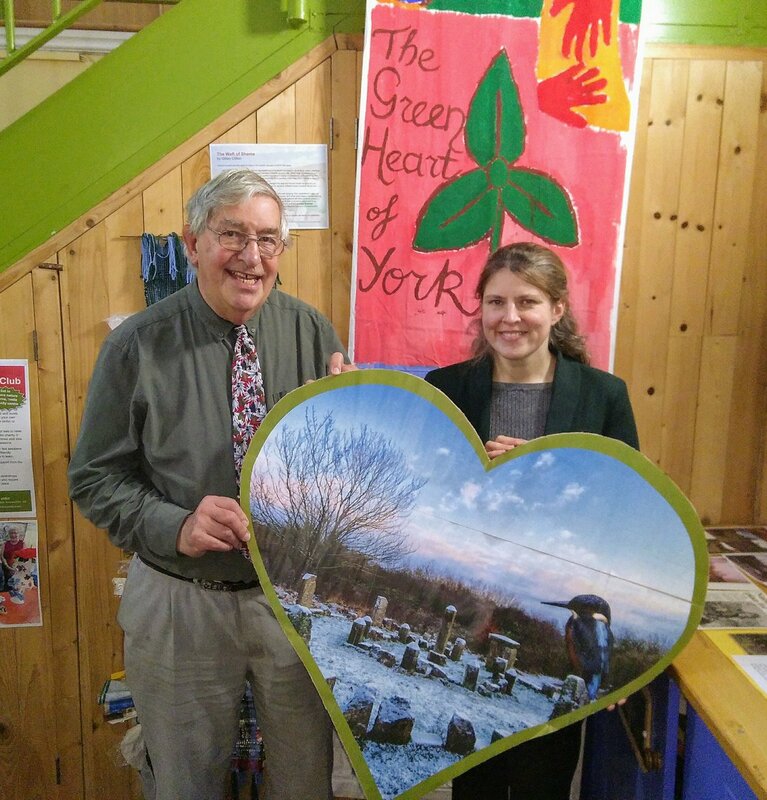 It’s been a truly remarkable journey and a fantastic start towards expanding the Environment Centre so that we can achieve even more than we already have in the 20 years or so of being a charity – thank you for being part of it!